Plenty of books written by authors from the Enlightenment couldn’t have found a wide audience during the XVIIIth century without Printing. Printing was the Internet of the XVIIIth century. if monks were still copying books in monasteries, Louis XVI could probably have maintained his control on information and avoid Revolution thanks to his infantry. His great-great-great-grandfather, Louis XIV, abused of propaganda during his reign, when Printing was still in crafting. He imposed absolutism. When Louis XVI was crowned King of France in 1774, he represented God on earth. Nineteen years later, French people only named him “Louis Capet”. He was just a French citizen. Undoubtedly, the bad harvests of the years 1787 and 1788 are the nails which closed the coffin of the King of France. 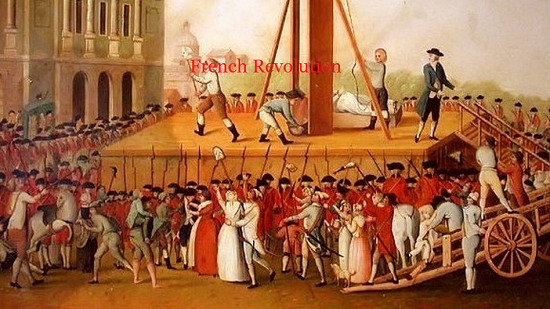 They were the sparks that led to the French Revolution, even if a tough economic situation does not automatically bring riots. But the lack of bread, combined with huge scandals, combined with a bourgeois class. Who wanted to become more powerful. All of that brought the Estates-General in May 1789, which generated new political regimes for the next 26 years until the Restoration of the monarchy by Louis XVIII in 1815.